Around here we're big fans of the style of design known as toile de Jouy, popularized in the 18th century, which looks great on both fabric and wallpaper. What we like best about toiles is that while they come across as classical from an aesthetic perspective, the content of the designs offers a ripe target for modern commentary. 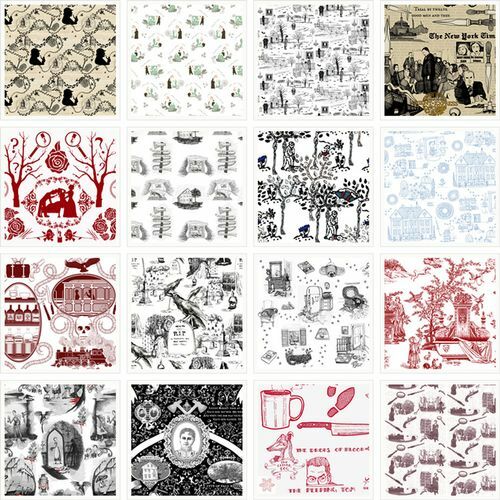 For this contest, we asked designers to come up with a murder-mystery-themed toile de Jouy. The winner is Italian designer Chicca Besso's "Who Poisoned the Roses?" (pictured above). Congratulations to her and to the rest of the wonderful top ten! Fabric geeks know that toile de Jouy is a type of textile design popularized in the 18th century and that toiles typically depict a complex scene, often pastoral, arranged into a repeating pattern. Classical toiles are usually two colors, with white or off-white as the background color and the pattern printed in black, dark blue, or red. 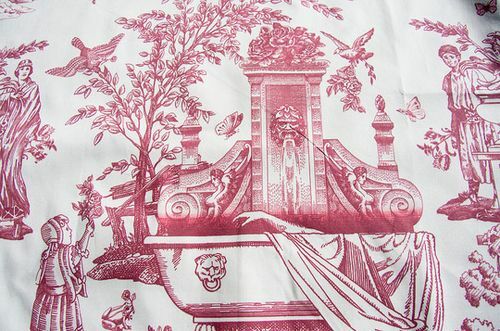 For this contest, we asked designers to come up with a murder-mystery-themed toile de Jouy. 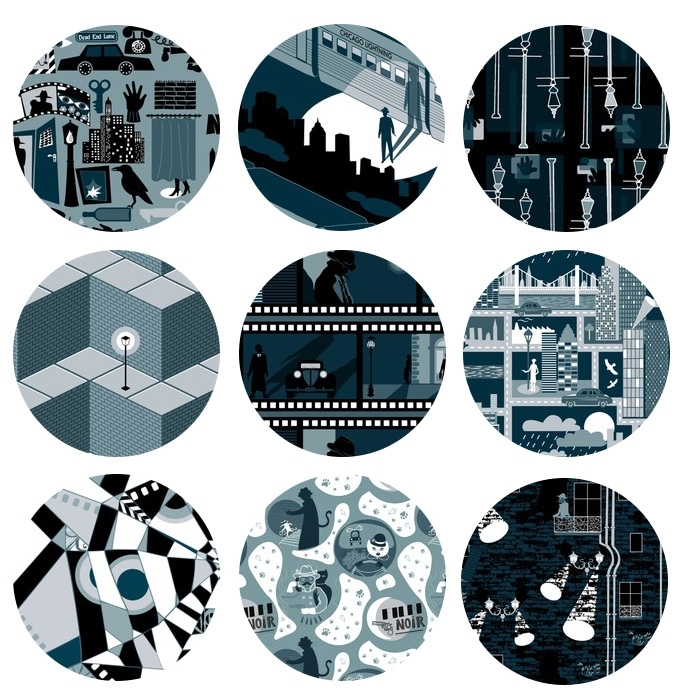 As we voted for all our favorites, we enjoyed imagining one or two of these as the wallpaper in Colonel Mustard's library.